Matthew graduated from the University of Queensland in 2008 achieving first class honours for his research project mapping pain patterns of lumbar musculature. Whilst studying, Matthew worked as a biology tutor and sports trainer for AFL teams. On graduating, Matthew worked at the Royal Brisbane and Women’s Hospital as a rotational physiotherapist prior to embarking on a working holiday to the United Kingdom and Europe. He worked as a senior physiotherapist at various hospitals in London in the areas of orthopaedics, intensive care, geriatrics, and cardiorespiratory rehabilitation. On returning from the United Kingdom, Matthew returned to the Royal Brisbane and Women’s Hospital, providing clinical education to undergraduate students in orthopaedics, intensive care, and slow stream rehabilitation. We welcomed Matthew to the Active Rehab team in 2015, where he works as a senior Orthopaedic Physio in the MPH and BPH. Matthew has a keen interest in orthopaedics, musculoskeletal physiotherapy and intensive care management of surgical and trauma patients. 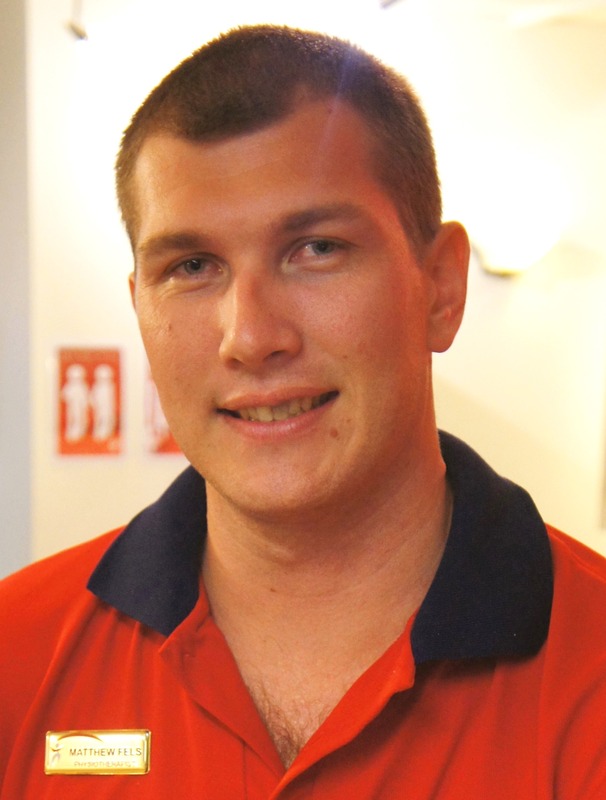 Matthew enjoys an active lifestyle with a particular interest in AFL, swimming and travel. During his spare time, he plays for Yeronga AFL Club. He has also previously played for the Brisbane Lions reserves and other representative teams.